T-Mobile has been gaining market share from larger competitors. 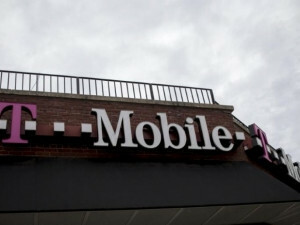 T-Mobile US is open to merger talks after a federal ban expires this week, the number three US wireless carrier said yesterday, as it reported stronger-than-expected subscriber growth in the first quarter. The US Federal Communications Commission barred merger talks among telecommunications companies for over a year as it conducted a $19.8 billion auction of airwaves from broadcasters for wireless use. Companies taking part in the auction have been restrained by a quiet period that will end on 27 April, when down payments are due from winners. T-Mobile, the largest winner with an $8 billion bid, is widely expected to be one of the first to have such discussions. "The inorganic and organic possibilities for the company are tremendous," chief executive John Legere said during the company's post-earnings conference call. "We are interested in looking at some of the possibilities." Reuters reported in February that Sprint's controlling shareholder, SoftBank Group, was positioning itself for deal talks with T-Mobile's top shareholder, Deutsche Telekom AG, once the airwaves auction ended. Investors and analysts have said T-Mobile has other options, including staying independent or combining with companies such as Dish Network or Comcast, as it tries to improve its network. T-Mobile said earlier this month its airwave purchase would enable it "to compete in every single corner of the country". During the call, Legere said satellite TV provider Dish had access to content and spectrum and that Sprint has "an awful lot of scale and a good customer base". T-Mobile has been gaining share from larger competitors AT&T and Verizon Communications in a saturated US wireless market through network improvements and lower prices. T-Mobile said it added 914 000 subscribers who pay bills monthly, on a net basis, in the quarter ended 31 March, down from 1.04 billion in the year-earlier period. Analysts on average had expected net additions of 847 000, according to market research firm FactSet StreetAccount. Churn, or customer defections, was 1.18%, compared with analysts' estimate of 1.27%. Net income rose to $698 million, or 80 cents per share, from $479 million, or 56 cents per share, a year earlier. Excluding items, earnings per share was 48 cents while adjusted revenue was $9.61 billion. Analysts on average were expecting earnings of 35 cents per share on revenue of $9.67 billion, according to Thomson Reuters I/B/E/S. T-Mobile shares were down 1% at $65.32 after closing up 1.9% on Nasdaq.